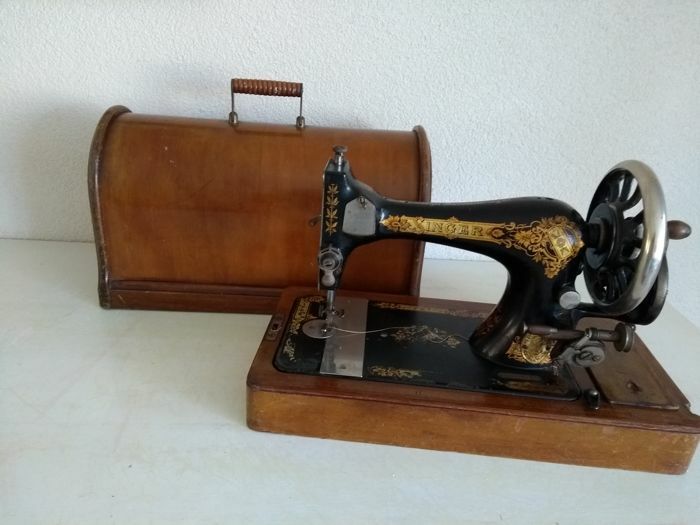 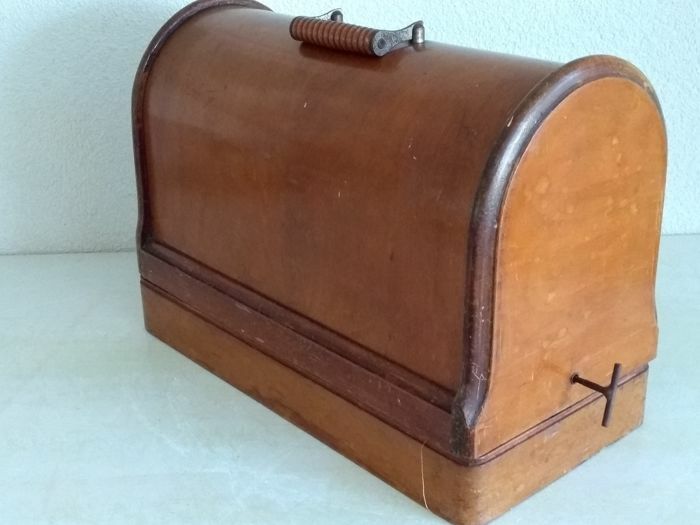 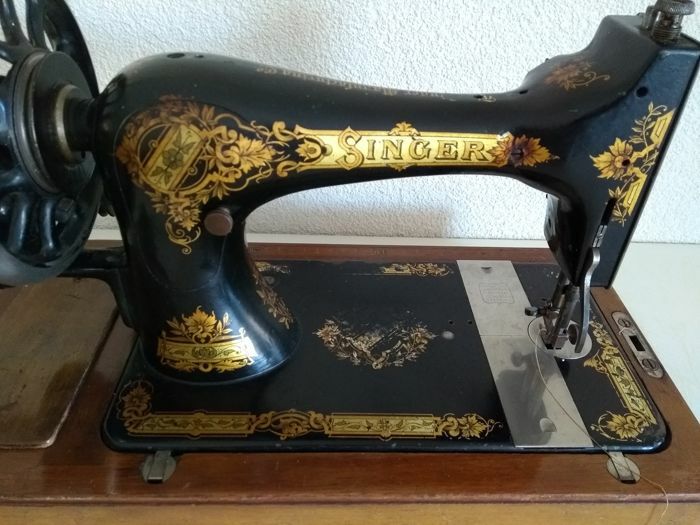 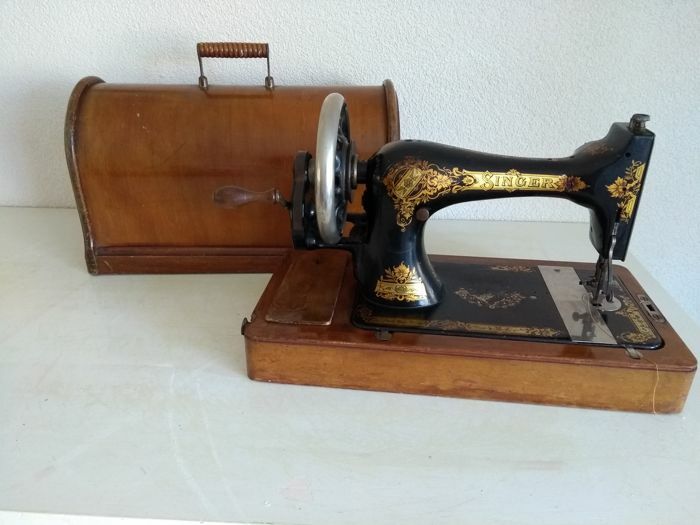 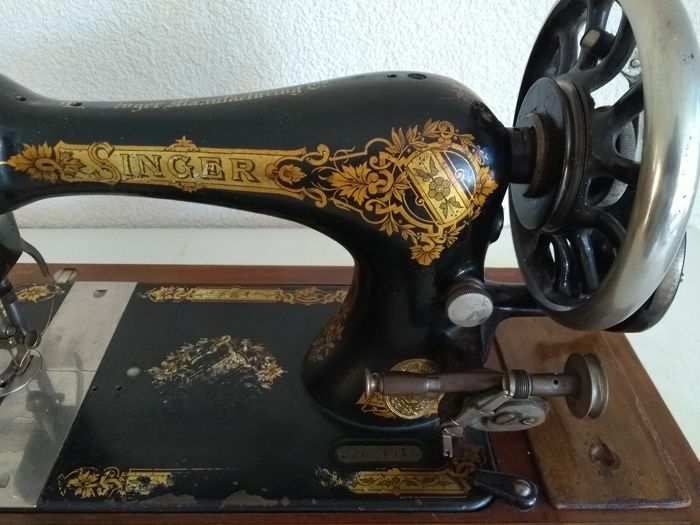 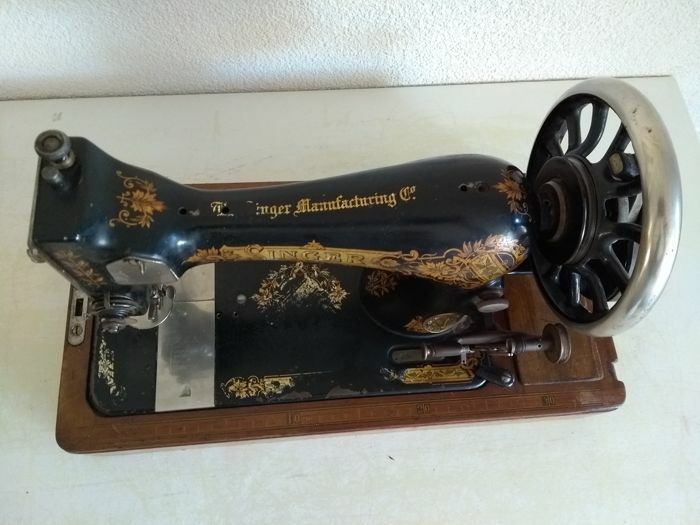 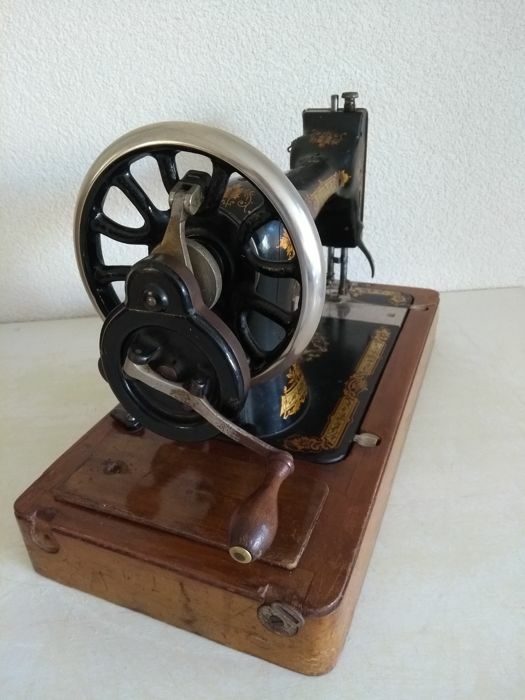 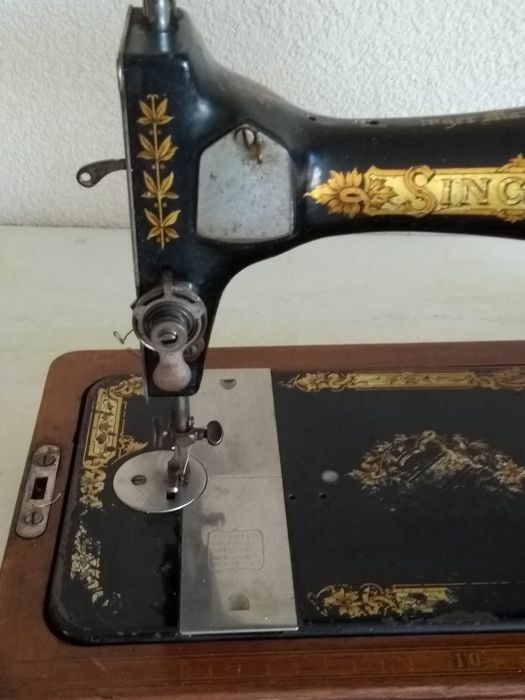 An authentic well-preserved hand sewing machine of the brand Singer Manufacturing Co. With accessory wooden dust cover. 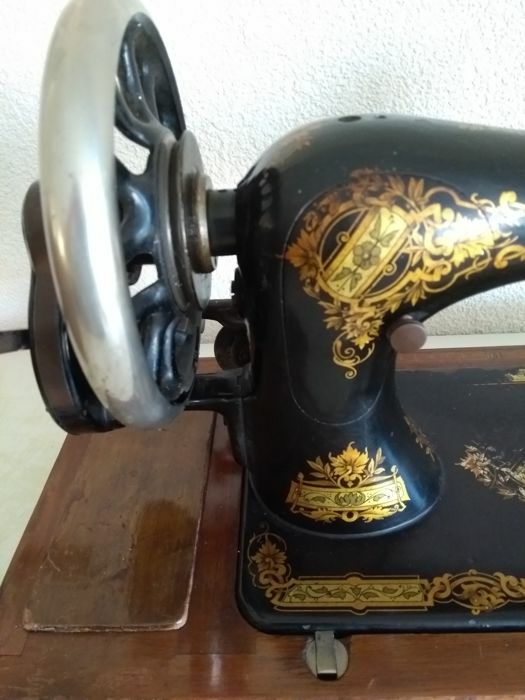 The sewing machine and cover both work well, but there is a hinge missing on the other side (see photo 17). 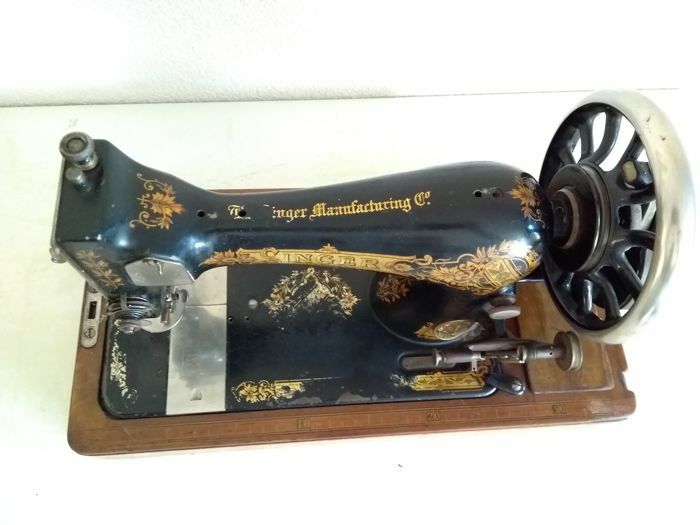 The machine is painted black with very beautifully shaped decorations of a.o. 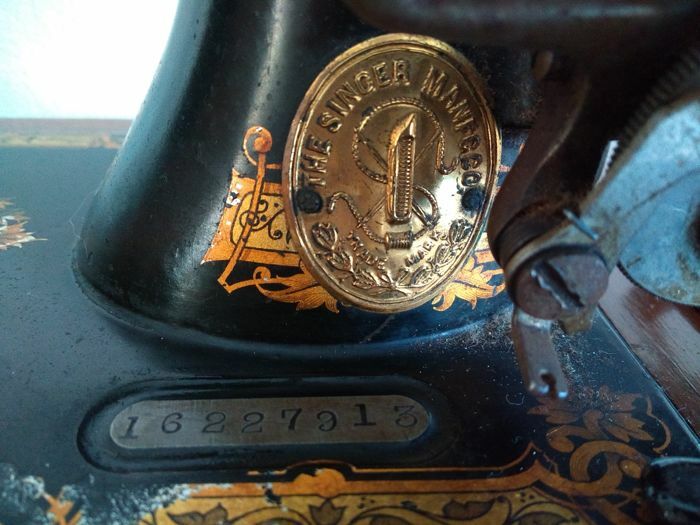 gold-coloured vines, flowers and beautifully factory logos with the text “The Singer Manfc. 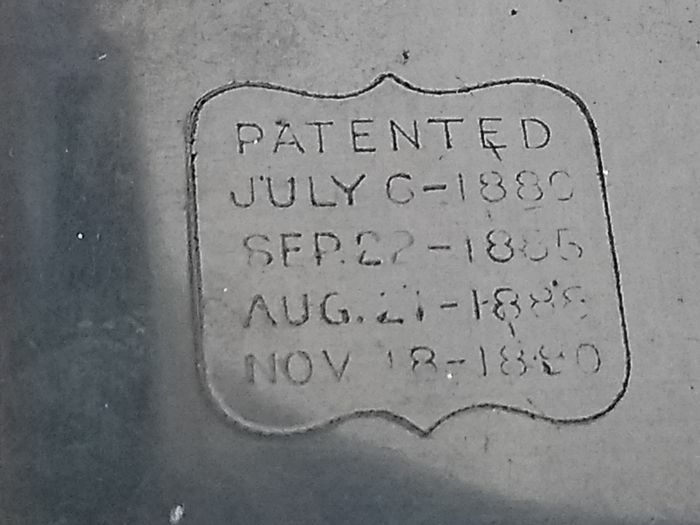 Co.” and “Trade mark”. 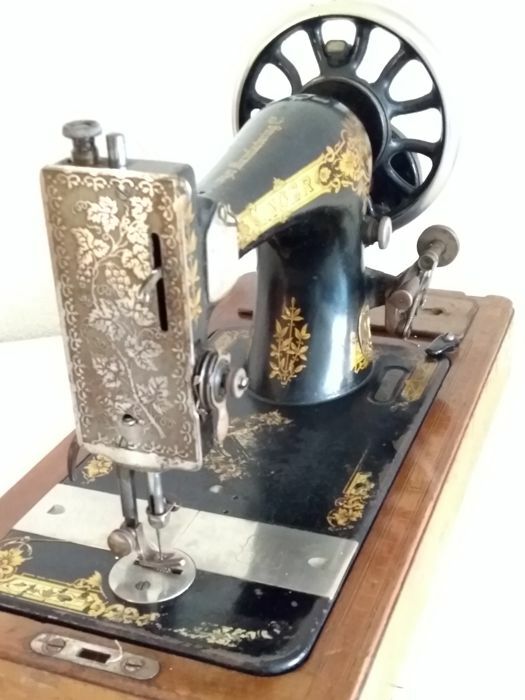 The front is made of nickel-plated and profiled steel. The decorations consist of a gorgeous grape vine with bunches of grapes and a beautiful edge decoration. 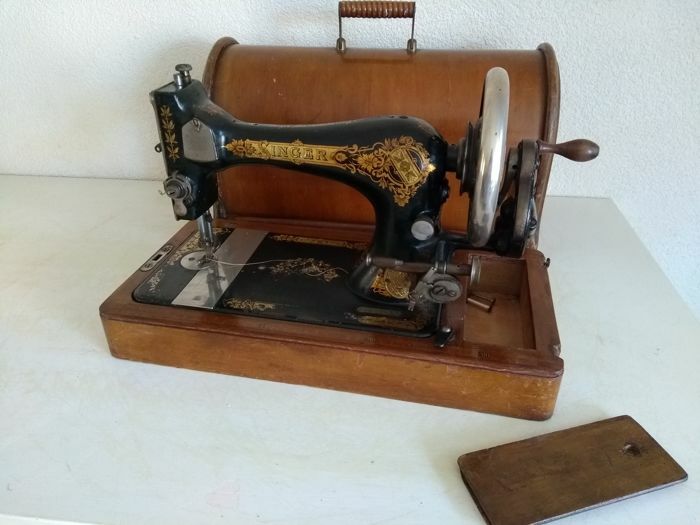 The machine has a dust cover with a beautifully profiled handle. The weight is 14 kg. 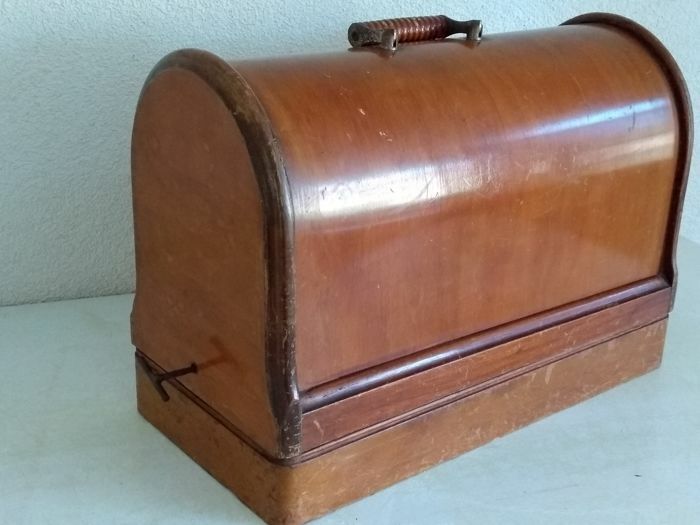 Photos are an essential part of the description. 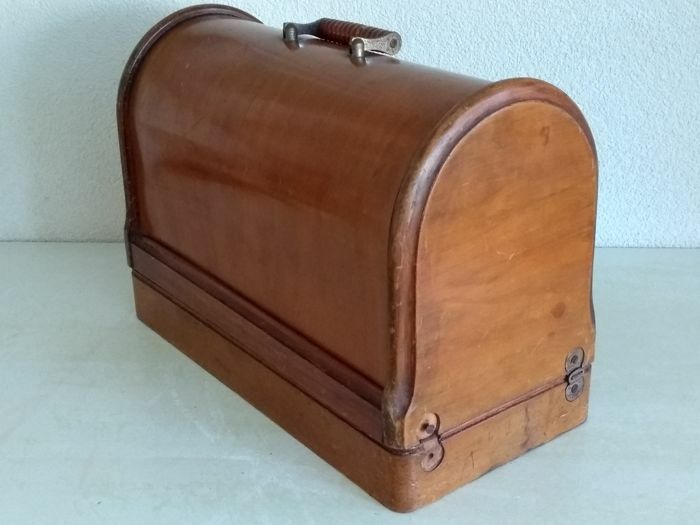 The item will be packaged with great care and shipped with tracking number.